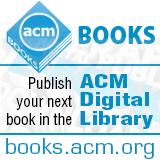 Welcome to the October 22, 2014 edition of ACM TechNews, providing timely information for IT professionals three times a week. There is a global shortage of software developers, especially in the growing health information technology field, and experts say solving the problem will require the cooperation and coordination of the public and private sectors. In the United Kingdom (U.K.), TotalMobile, an Irish company that develops mobile software used by the U.K.'s National Health Service, sponsors numerous programs that are designed to get women and children interested in programming and careers in the field. TotalMobile CEO Colin Reid says the government should be teaching children programing skills as early as possible. In Massachusetts, the public school system is introducing science and technology curricula starting in the fourth grade that is specifically designed to make these fields appealing to girls. Meanwhile, the private sector is helping to address a shortage of software developers in Dubai. Marwan Abdulaziz of TECOM Investments Science Cluster, which operates a Dubai business park, says that nation is facing a dual problem in that what developers it has are often foreign nationals that do not intend to stay in the country long term, and so must develop a tech workforce from its own population. In some parts of the world, the Internet experiences regular downtime, or "sleeps," periodically instead of running 24 hours a day. University of Southern California (USC) researchers are leading an ambitious monitoring project that seeks to map out these "sleep" patterns to better discern normal downtime from major outages. USC professor John Heidemann and colleagues have been pinging millions of IPv4 address blocks, which collectively represent almost a fourth of the Web, every 11 minutes for two months looking for daily patterns. "This data helps us establish a baseline for the Internet--to understand how it functions, so that we have a better idea of how resilient it is as a whole, and can spot problems quicker," Heidemann says. "We have grown our coverage to 4 million blocks [more than 1 billion addresses] as Internet use grows." He will be presenting the group's research at the 2014 ACM Internet Measurements Conference on Nov. 5. So far, his team has found that rich countries are more likely to have the Internet available 24/7. The research is continuing and Heidemann says he hopes long-term observations will help guide Internet operations around the world. "This work is one of the first to explore how networking policies affect how the network is used," Heidemann says. Harvard University professor Margo Seltzer says the lessons learned from a recent massive open online course (MOOC) she ran on healthcare innovation in collaboration with the Harvard Business School's Regina Herzlinger and Duke University's Kevin Schulman demonstrate the ways in which MOOCs could be used to revolutionize education in the computer science and health-care fields. The course, "Innovating in Healthcare," was two-tiered, with a primary open course but also a smaller, limited-enrollment portion known as a SPOC (small private online course). Members of the SPOC were placed in teams by a matching algorithm and engaged in projects alongside the larger MOOC, primarily developing a business plan that could spur health-care innovation. Seltzer and her collaborators found the addition of the SPOC greatly increased engagement and helped to cut down on the high drop-out rates MOOCs often experience. The active learning element also was complemented by active engagement on the part of the instructors, unlike many MOOCs, which often consist of pre-recorded lectures and automated assignments. Seltzer notes the interactive element enabled students to provide and receive feedback, dramatically increasing their engagement with the course. Microsoft recently brought together young programmers from across Europe for a gaming competition. A team from the United Kingdom won the 12-16 age category of the Kodu Kup, besting challengers from Portugal, Finland, Norway, Belgium, Greece, Lithuania, and Estonia in the final. The team created a futuristic game in which players compete to defeat an evil robot. The participants used Kodu, Microsoft's visual programming language, to create their own games and complete a Dragons' Den-style pitch to a jury of Members of the European Parliament, education, and gaming experts. The winners were chosen for their presentation, the detail they had put into their game, and the way they worked as a team. "They had really thought about the design, usability, and where their product would be placed in the market, which is remarkable for a group of 12- to 14-year-olds," says judge Kelly Smith, head of television and games at BAFTA. The Kodu Kup is part of the European Union's Code Week, an initiative aimed at getting children more interested in coding. "Computational thinking helps our young people to understand and play an active role in the world that surrounds them," says Computing at School chair Simon Peyton-Jones. Researchers from the Massachusetts Institute of Technology's Computer Science and Artificial Intelligence Laboratory and the Laboratory for Information and Decision Systems have developed a machine-learning algorithm that can predict the price of Bitcoin. The researchers collected price data from all major Bitcoin exchanges every second for five months, collecting more than 200 million data points. They then used a technique called "Bayesian regression" to train an algorithm to automatically identify patterns in the data, which were used to predict prices. Every two seconds, the algorithm predicted the average price movement over the following 10 seconds. "We developed this method of latent-source modeling, which hinges on the notion that things only happen in a few different ways," says principal investigator Devavrat Shah. "Instead of making subjective assumptions about the shape of patterns, we simply take the historical data and plug it into our predictive model to see what emerges." In the future, the researchers want to expand the scale of the data collection to further hone the effectiveness of the algorithm. The findings indicate predictive powers are often slowed by preconceived notions of what patterns will appear. Chalmers University of Technology researchers have developed a type of microwave circuit that has achieved a transmission rate of 40 gigabits of data per second, which is twice as fast as the previous world record at a comparable frequency. Chalmers professor Herbert Zirath says newly developed semiconductor materials have led to the manufacture of circuits made of indium phosphide, which can transmit high frequency signals with sufficiently high power. He says the new technology can be applied to applications in which high-resolution live films need to be transmitted to screens without any delay or long cables, as well as communication within and between large computer rooms used to hold files that have been placed in the cloud. "This is a very exciting area to be involved in, since the heavily increasing amount of data demands new solutions all the time," Zirath says. "The fact that an increasing number of people are watching films wirelessly is the primary reason underlying the need for quicker transmission today." The researchers hope that within a few years they will be able to demonstrate wireless data transfers at 100 gigabits per second. Federal University of Bahia researchers suggest a social Internet of Things will enable people and their devices to be more coherently connected. The familiar interfaces of online social networks could be adapted to enable users to interact more efficiently with networked devices such as cars, domestic appliances, and gadgets, the researchers argue. They also say this concept could be extended to link devices with each other in order to improve the efficiency of heating, lighting, and home entertainment systems. Online social networks currently are used as a surrogate and a supplement to many of the activities that were once available only offline without digital assistance, according to the researchers. They note as the Internet of Things evolves, there is the potential to enhance it to make more efficient use of a wide variety of devices. In some circumstances and for many applications, gadgets will interact through the infrastructure of social networks without human input, according to Bahia researcher Cassio Prazeres. The researchers have taken several steps in developing an architecture for the social web of things, which they say provides the potential means for humans to engage with devices in a naturalistic manner. The 16th International ACM SIGACCESS Conference on Computers and Accessibility (ASSETS) conference will give researchers, teachers, rehabilitation personnel, and policymakers an opportunity to learn about and discuss the latest accessibility technologies. Rochester Institute of Technology (RIT) professor and ACM vice president Vicki Hanson will give the keynote address on "Computing for Humans." "Computing is an instrument of the human mind, with a primary goal of enhancing what humans are able to do," Hanson says. "Nowhere is such a computing goal more evident than in the field of accessibility, where we seek to create devices and software to serve people with extreme needs." The event will offer a Text-Entry Challenge, in which 10 teams will demonstrate alternative approaches to entering text into a computer. The program also will include presentations, posters, and demonstrations from experts, varying in topics from wearable technology to Web accessibility. ASSETS is centered on the idea that both physical spaces and information spaces need to be accessible to everyone. "ASSETS provides an important venue for researchers to come together and share the latest research regarding accessibility of computing systems," says Andrew Sears, dean of RIT's Golisano College of Computing and Information Sciences. The recent O'Reilly Strata + Hadoop World Conference focused on big data analytics and its positive effect on artificial intelligence (AI) research, advancing the state of the art for tasks such as ad targeting and personalized assistance. However, scientists are no closer to achieving an overall general AI, in the sense that a computer can behave like a human, says Salesforce.com's Beau Cronin. He says the state of AI has always been difficult to measure because a system may excel in a specific area but fall short in another, similar task. Cronin notes many current AI research projects are designed for commercial rather than academic endeavors. "Deep learning on its own, done in academia, doesn't have the [same] impact as when it is brought into Google, scaled, and built into a new product," he says. However, Cronin says AI methods are now being integrated into commercial services and products faster than ever before. He notes big data has helped AI research by introducing inferencing and other statistical methods. "A lot of new innovation has come around in deep learning that has been rolled out in scale, like Google image search," says Polynumeral's Juan Pablo Velez. "But the research is very much tied to the agendas of big companies and it doesn't necessarily mean we are any closer to generalized machine intelligence." Plymouth University graduate Joe Hounsham used sensors and circuit boards to convert a typewriter into an interactive social tool. Hounsham says people will be able to use the device, called Dico, to communicate via Internet forums. Hounsham employed an ultrasound sensor to detect when a person is approaching the device and create a connection to a random person using an Internet chat service. "I have always really enjoyed taking old technology and giving it new purpose, and suddenly thought it would be great to create a functioning typewriter with a technological twist," he says. Hounsham notes the device transmits messages received through micro-controllers to solenoids, which pull down on the typewriter keys and type the message out on paper. The system also will occasionally encrypt a message, requiring a booklet to decrypt it, Hounsham says. He notes he wanted the device to pose questions about online security. A recipient of a Smarter Planet Award from IBM, Hounsham says the device could potentially be used to control lights, type out news headlines, or create a retro digital guestbook. University of Kansas researchers are developing algorithms and computational models to detect fake online reviews to improve commerce for consumers and businesses and to boost the credibility of social media. Fake reviews can be damaging to businesses, consumers, and the sites that host them, and as the Internet has evolved, so have the number and kinds of fake reviews. "The most fundamental part of this project is to develop a more trustworthy social media experience, because that's such a big part of how we get information and make decisions as consumers and businesses," says Kansas professor Hyunjin Seo. The researchers want to develop algorithms that improve the speed of collecting data from millions of review sites such as Amazon.com, Yelp.com, Zappos.com, TripAdvisor.com, and Expedia.com. They will then develop computational models to detect false reviews and assess trust in online communities. The researchers will perform semantic analyses of the many reviews they collect, seeking common language that might flag a review as dishonest, and tracking the amount of interaction users have on review sites to determine whether someone is a legitimate contributor. "We are hoping to develop computational models that take into account interactions between sociological, psychological, and technological factors," Seo says. A Northwestern University study could assist policymakers in their effort to improve broadband availability. The study's researchers say global Internet traffic has increased fourfold over the past five years, but subscribers' demand in the same bandwidth capacity class stayed the same in developed countries. The researchers note in most developed countries, users can upgrade to a higher service when their demand grows. However, in developing countries, Internet service is more expensive and users are unlikely to upgrade. Customers maximize networks that are relatively slow and impose significantly higher loads on these services, the researchers say. "If service becomes faster, then behavior changes," says Northwestern Ph.D. student Zachary Bischof. "People start using the Internet even more with faster speeds but, for most people today, that usage appears to plateau when capacity reaches around 10 Mbps." The researchers analyzed data collected from 53,000 end hosts and local networks in 160 countries over three years. "There are people trying to make policy decisions about where to invest in broadband," says Northwestern professor Fabian Bustamante said. "But to guide this we need to understand broadband networks in their broader context." In an interview, satellite radio pioneer and futurist Martine Rothblatt says she believes there is little doubt humans will eventually invent ways to create virtual people and fully digital consciousnesses. However, she worries that unless ethical frameworks are developed, these great inventions could become new tools for oppression and tyranny. Oppression is important to Rothblatt, who was born a man before transitioning to being a woman. One of her greatest fears is the rise of machine consciousnesses also will mark the rise of "cyber-conscious slaves." "Slavery is profitable. But I think we'd regret it," Rothblatt says. "We'd spend hundreds of years trying to dig ourselves out." Rothblatt addresses these and other ethical issues surrounding the potential rise of intelligent machines and virtual persons in her new book, "Virtually Human: The Promise--and the Peril--of Digital Immortality." One of the key aspects of the book is the rise of virtual humans. Rothblatt has long been on the forefront of efforts to find ways to digitize the human mind: she owns a robot, Bina48, that serves as a robotic simulacrum of her wife, and is a backer of the Terasem Movement Foundation and a service called Lifenaut, which enables users to create a chat-bot version of themselves by uploading pictures, videos, and their opinions.